The map is in very good overall condition and the rollers are securely attached with no imperfections. 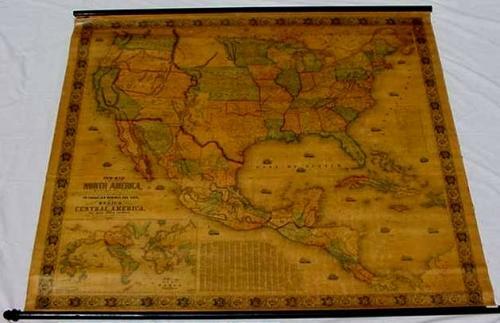 The map is slightly age toned and lightly frayed along the edges. There is some restoration work needed to a three inch tear on the top left, a spot on the top center, and another at the top right. Overall these small imperfections do not distract from the effect of this stunning map.